Does God exist? Do we have free will? What happens after we die? These questions have been tackled by theologians for centuries, and today pursuing a degree in theology or in religious studies equips you to address these questions so central to the human condition. To begin, you may be asking yourself what is theology? As the above implies, theology in involved in some of the most important philosophical questions we face. Theology and religious studies are the study of religious practices and thought. Theology typically is the study of a religion from “within,” so to speak, and many who pursue theological degrees are adherents of the religion they study. Religious studies tends to be more historical and sociological in its approach, and students in this field generally study religions while trying to remain neutral about the question of their truth. Like religious studies, philosophy is another field that has historically overlapped with theology. Much of Western philosophy has long been intertwined with Christian theology. Today, however, the fields are largely separate, although the distinction may blur, especially in philosophy of religion classes or at private universities. Many universities have combined their philosophy and religious studies departments. While there is overlap between philosophy and theology, especially in the areas of ethics, metaphysics, and philosophy of religion, and philosophy, much of what is taught today often takes a more secular approach. For students interested in careers in religion, a theological education may be the better choice, while those with a passion for exploring world religions may find religious studies more rewarding. While theology clearly provides students with a solid training for careers in religion, a degree in theology also equips you with a set of skills useful for the material working world as well. Theology courses teach critical thinking, abstract reasoning, and logical analysis skills that are applicable in a job market that increasingly values adaptability and an ability to handle abstract ideas. It is little wonder that theology majors consistently do better than most other majors on the GRE	and LSAT. Is religious education right for you? If you love solving problems, thinking about important and deep issues, and learning to think more clearly and critically about abstract ideas, religious studies might be right for you. Whether you plan on pursuing further graduate studies, a career in religious studies or theology, or entering the conventional job market after college, a degree in theology can be a great asset. These practical benefits are accompanied by the great intrinsic value of studying important and interesting issues. At Felician College, a private Franciscan College in New Jersey, you have the opportunity to study religion in an environment with a strong liberal arts tradition. With small class sizes, Felician College aims to provide its students with a unique and personalized educational experience. Is religious education right for you as an international student? While theology often explores the otherworldly, there is no reason why theological studies do not accompany a greater understanding of this world. Studying internationally may be thought to be more often the purview of students of business and politics, but there are many great opportunities for international students interested in theology too. From access to the world's top universities to learning about the history of a religion in the country of its origin, there are many reasons to study theology as an international student. Students may find a greater religious education outside as well as inside the classroom than they would have at home. Students of religion may find it invaluable to study religion in countries with long religious histories, be it Italy, Israel, Saudi Arabia, India, or elsewhere. The experience of living and working where history has occurred can be as valuable an education as any obtained in the classroom. Additionally, international students going to the country from which a religion originated will often find greater assets for learning about that religion. There will typically be more specialized religious education there, more experts, and a greater breadth of knowledge than may be obtained in their home countries. Studying religion abroad can be a great gateway to amazing learning opportunities and life-changing experiences. Is religious education right for you? If this appeals to you, it is! What is it like to live in that country? Do I want to pursue a degree in religious studies or theology? What schools have programs most closely tied to the research I want to specialize in? What are the faculty members like? What are their current research topics? Going abroad can be an amazing experience, especially when you study a topic you love and are passionate about. So what is theology? Theology is a chance to engage your critical thinking skills while learning more about the world. Visit the Study in the USA School search to find schools that offer programs of study in Theology. 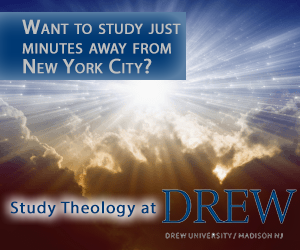 Is a Degree in Theological Studies Right For You? Over time we will be updating this section and including more information for those who want to study theology in the USA and for other countries, but please feel free to post your thoughts and comments on our Facebook fan page, and also follow us and post questions through Twitter.